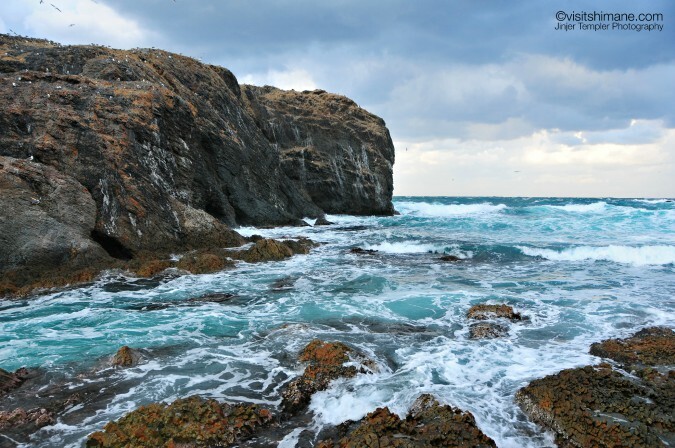 Hinomisaki is a cape on the Westernmost point of the Shimane peninsula, and is known for its lighthouse its bright vermillion shrine and its stunning panoramic views across the Sea of Japan. Along the rugged cliff face is a small island (rock) called Fumi. 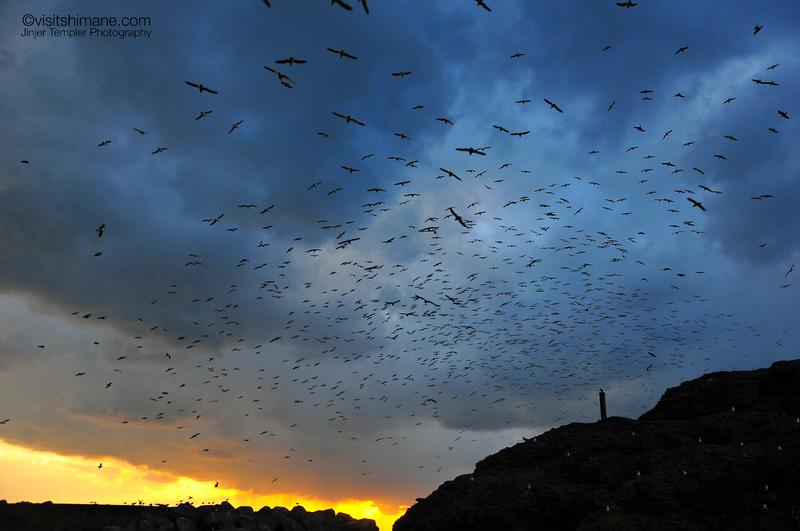 The island is a breeding ground for the black-tailed gull, and hundreds of the birds can be seen swarming aroud the island from the end of November to July. 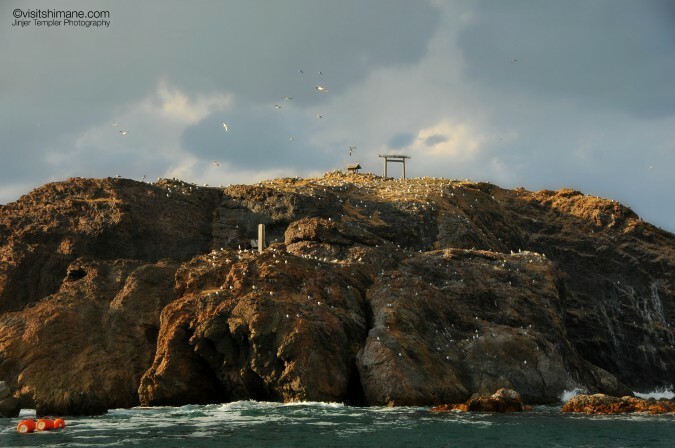 There is a small shrine on the island, however the whole island itself is considered to be a sacred site, and so the only person allowed to visit it is the shrine priest. The shrine is dedicated to Ameno-fukine-no-mikoto, who was a descendent of the god Susano. In the age of the gods, the landscape looked rather different from its present day form. Traces of a shrine hall, a path leading to the island, caves, and a place for rituals have been found on the sea-bed just off the island’s shore. The locals call these remains Taiwa, and investigations are still being carried out in the area. It is said that the annual Sunset Festival of Hinomisaki Shrine was originally held on Fumi Island. Getting there : 45 minutes by bus from Izumo Station to Izumo Taisha, then 20 minutes by bus from Izumo Taisha. It takes around 20-30 minutes.